Centennial door systems not only add warmth and beauty to your home, but they also add extra security and are virtually maintenance free. 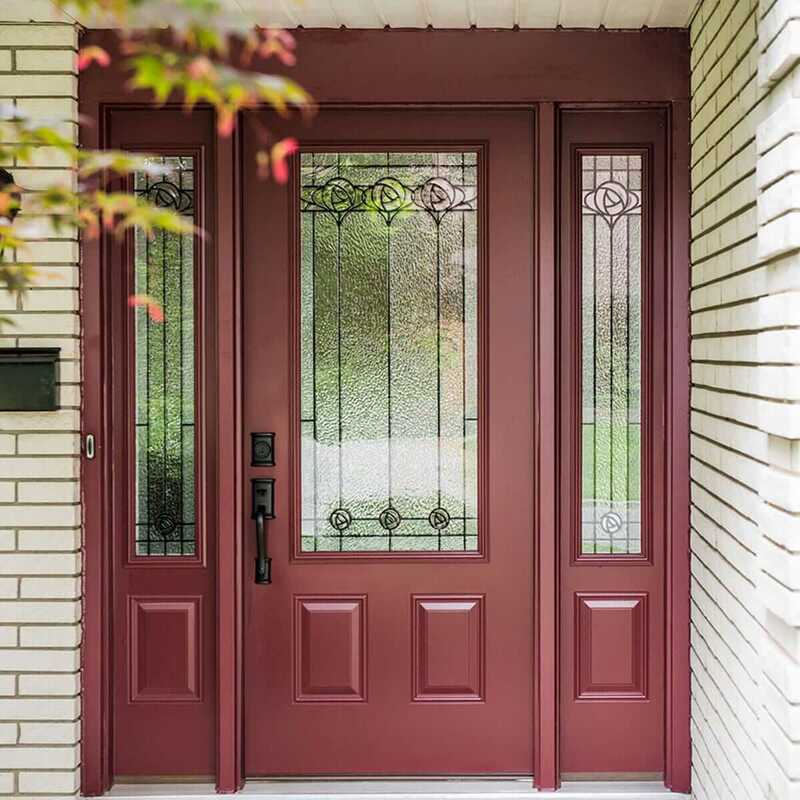 Centennial offers a wide range of styles, decorative glass options, and colours to suit any entryway. Every Centennial replacement door system is custom manufactured with the highest quality materials. 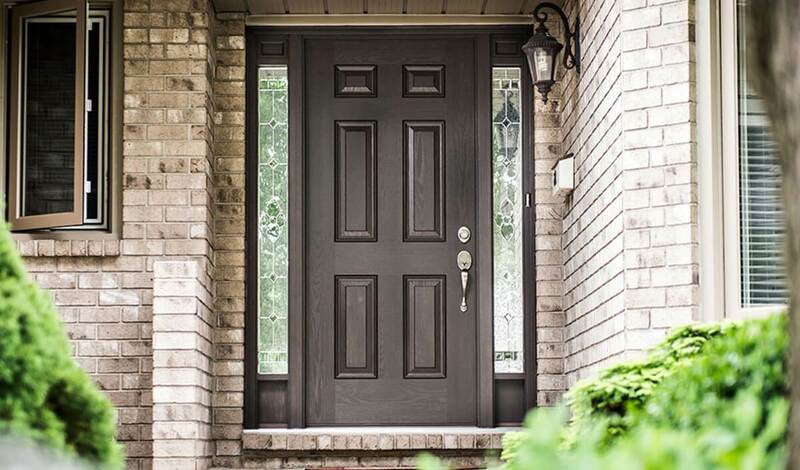 Our ENERGY STAR® certified doors are guaranteed under our lifetime No Fine Print Warranty. With hundreds of decorative options to choose from, you can customize your entry system to match your home’s design — and your personal taste. Steel doors can be finished in 29 standard exterior colours. 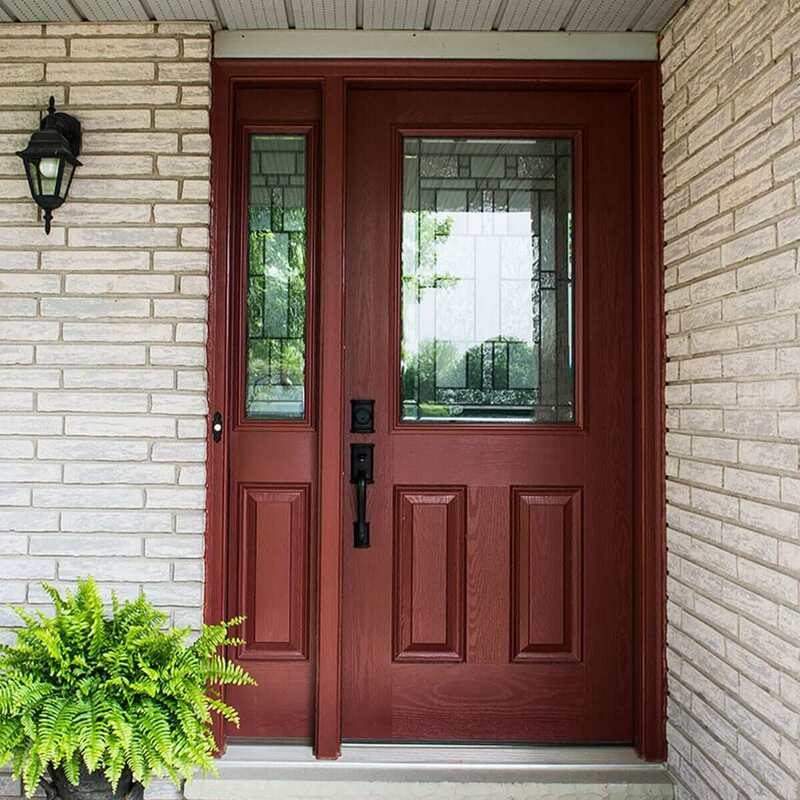 Our fibreglass doors are custom crafted with a woodgrain finish and can be hand stained in one of four popular colours in addition to our standard colours. Centennial’s beautiful, premium high density fibreglass doors are strong, versatile, and resist warping. Centennial’s steel entrance doors are extremely durable with galvanized steel that provides added rust resistance. Dramatically change the look of your home with elegant yet durable garden doors. Our sliding patio doors are made from high-quality vinyl, which helps control your home’s temperature without compromising natural light. This beautiful double door system lets in lots of natural light while remaining energy efficient and low maintenance. Doors are the gateway to your home and show off your personality. 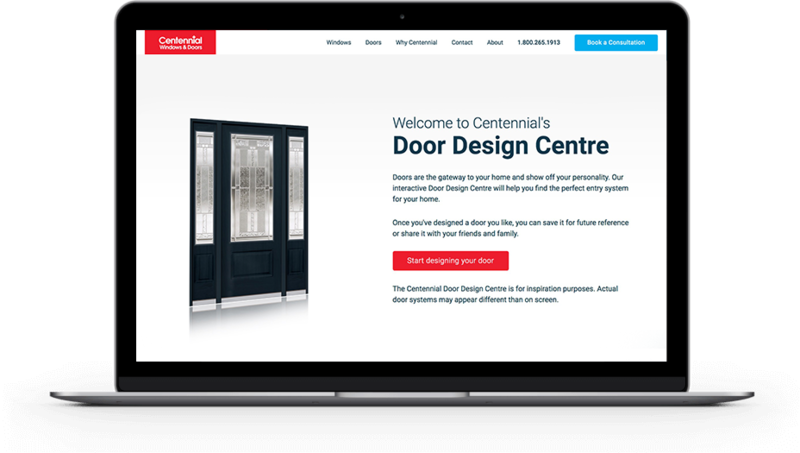 Our interactive Door Design Centre will help you find the perfect entry system for your home. I would like to express my appreciation for a job well done. I ordered three exterior doors for my home, and anticipate ordering windows in the near future. They arrived in a very timely manner, are in excellent shape, and look fantastic. I was extremely impressed with the installers and the Centennial warranty is excellent. I also love the fact that it is a Canadian company. Centennial followed up with a phone call after the installation to make sure I was happy. I would highly recommend Centennial Windows my fibreglass entry system is of wonderful quality. 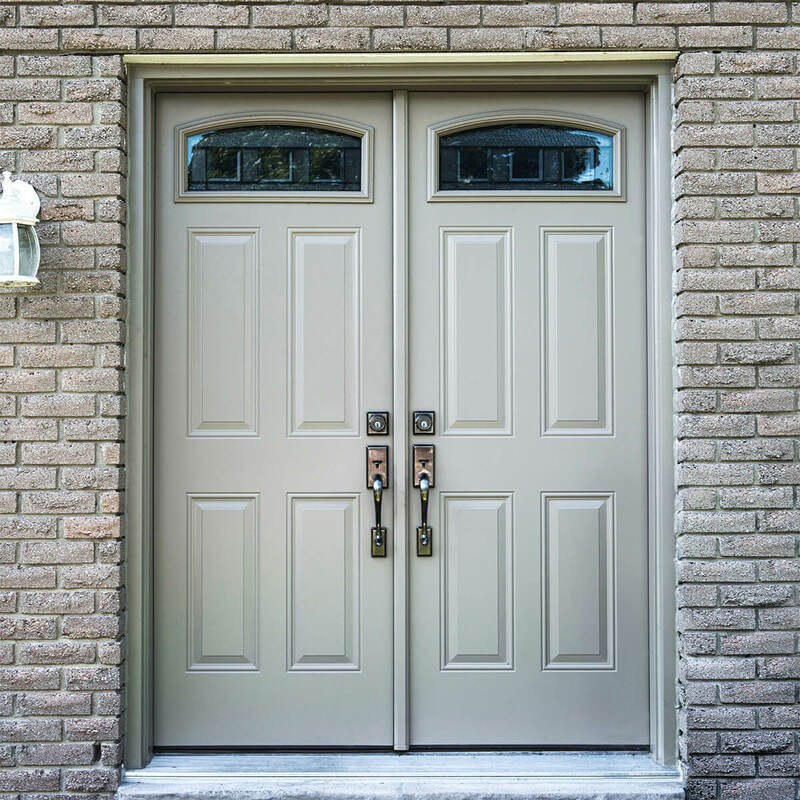 A door system is not just a slab or panel; it includes the structural elements that support and increase the longevity of your door. Scroll down to learn about the components that should be used in any door you are considering for your home. Brick mould is an exterior piece of trim that seals the frame and provides air tightness and a finished look. The sill is the threshold of the door system – the part that you step on. Made from wood or a composite material, the jamb is the main support piece for the door system. It’s used to attach the door system to your home. The lock block is a piece of wood on the inside of the door panel that is used when installing door hardware. It provides support for the handle and deadbolt and resistance to attempted forced entry. Centennial door panels are filled with polyurethane foam to provide insulation, strength, and sound deadening. This is the same insulating material that you find in refrigerators. The skin is the exterior part of the door panel and is either fibreglass or steel. Fibreglass skins have woodgrain textures and steel skins are smooth. Stiles and rails are the internal frame of the panel. A. Stiles are the vertical sides. B. Rails are the top and bottom. Hinges attach the door panel to the jamb and allow the door to open and close. Centennial only uses premium ball-bearing hinges ensuring smooth and long lasting function. The handle and lock-set are the tools that securely lock the door system. Choose from handles, levers, and knobs in a variety of styles and colours. Attached to the frame this weather stripping seals the door to the jamb when the door is closed. The sweep is made from flexible rubber and seals the bottom of the door panel to the sill. 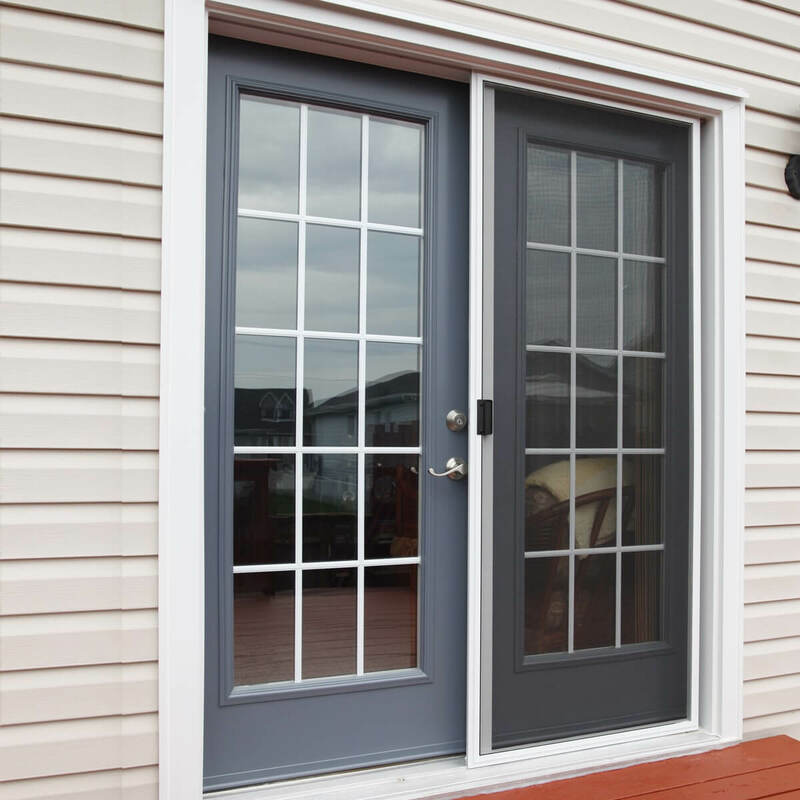 Customize your door by adding plain or decorative glass to your door system. *1. *Glass above the door system is called a transom. *2. *Glass built into the door panel is called a doorlite. *3. *Glass beside the door panel is called a sidelite. I have measurements of the doors I need. Can I just get a price over the phone or if I come to your showroom? At Centennial, all products are custom manufactured for your home and we always include installation in the price — it’s how we can offer you our lifetime No Fine Print Warranty. Because of that, we’re unable to provide pricing without visiting your home to inspect the openings and determine what is involved for installation. An energy audit is an assessment of your home’s energy needs and efficiency. It answers the questions: where, when, why, and how is energy being used in your home and provides recommendations of the home improvements you can invest in to increase your home’s energy performance. First, the team leader will spend a few minutes with you to review your order and explain their plan for your installation. While this happens, the other installer will start setting up their tools and supplies. Next, the team will start installing your new products. When they’re finished, the doors will be cleaned, any debris and mess will be tidied and packed away into the installation trailer, and you will be shown the proper operation of your home’s new addition. Each home is unique and every order is different; the length of installation will depend on the number of products that are being installed and any obstacles that arise while we work at your home. Why do both homeowners need to be available for the in-home consultation? During the in-home consultation, we’ll go through several options that will affect the price of your new entry system. Options could be colour, grill pattern, finishes, hardware, and installation requirements. We recommend that all homeowners be present for the consultation as each may have his or her own preferences and we want to make sure that we are taking the opinions of all decision makers into consideration in order to provide the most accurate pricing possible. How do I know if you service my area? 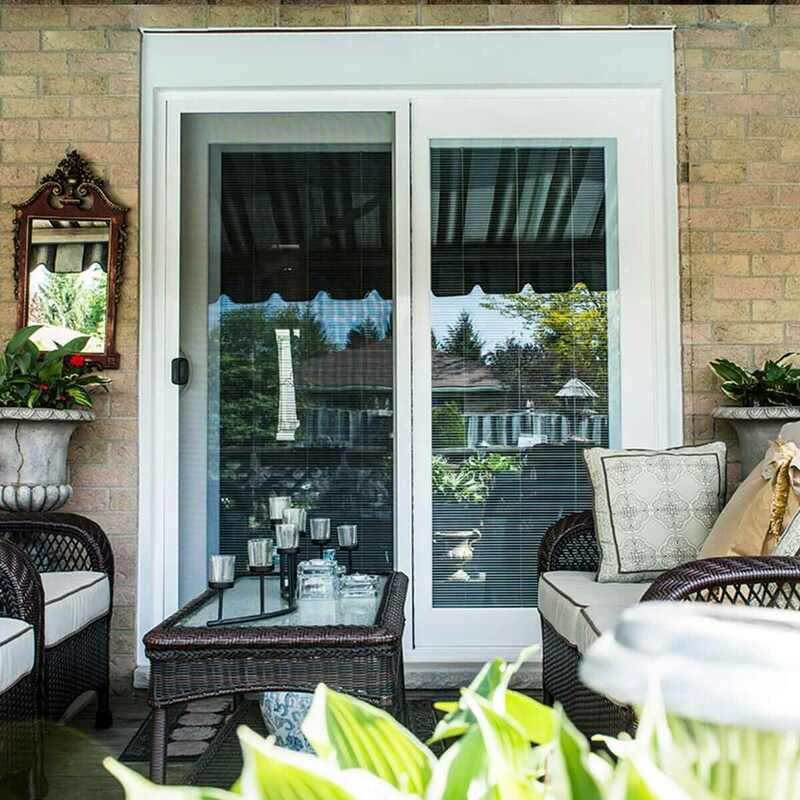 Centennial offers in-home consultations across much of Southern Ontario. Take a look at our service areas page here to see general city listings for each of our offices. Alternatively, give us a call at 1-800-265-1913 or submit an appointment request here and we will be happy to answer any questions that you have. Do you sell commercial products for businesses? Not at this time. Centennial products are designed and rated for residential applications and our installers are trained to work on residential buildings. If you are unsure if your project is residential or commercial, please give us a call at 1-800-265-1913 and we will be happy to discuss the details of your project and let you know if we will be able to do the work.